Martha Rea Baker has been adding finishing touches to the canvases painted on her annual two-week visit to the Hill Country Arts Foundation in Ingram, TX. This time spent in Ingram/Kerrville in the beautiful Texas Hill Country each year in January is a time of great creativity for the artist. We will post the paintings as they are finished. Here are the first two. 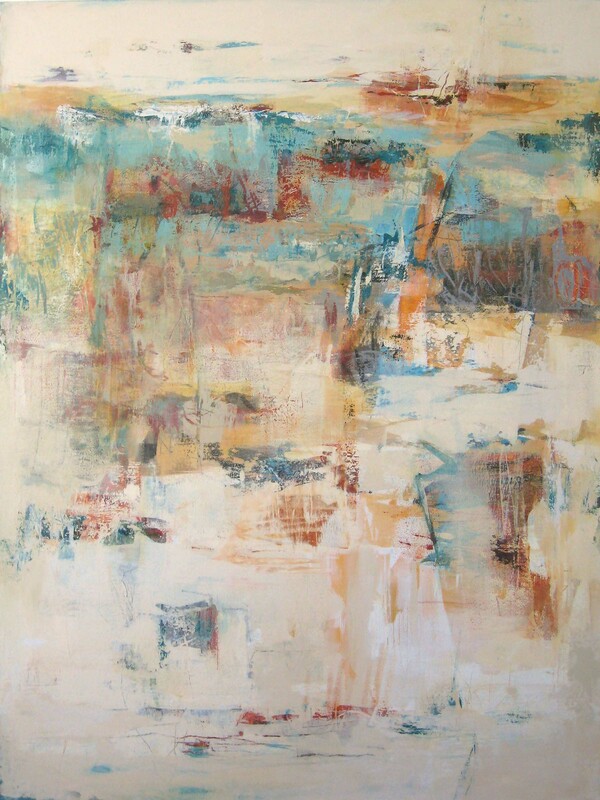 Mesa II continues the Mesa Series, influenced by the light, colors and landscape of New Mexico and the Southwest. 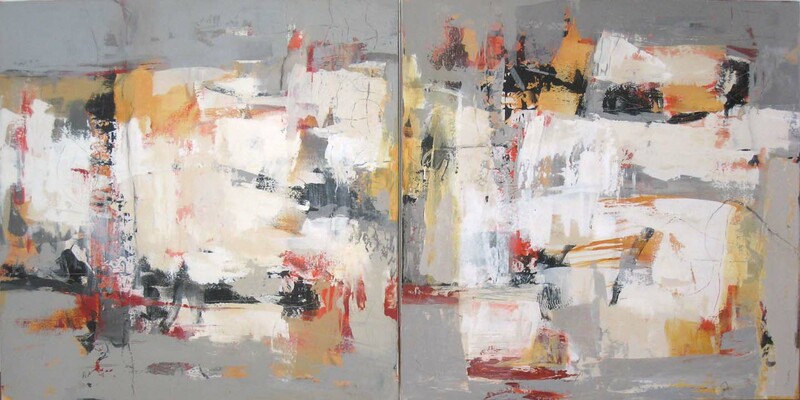 This diptych consists of two 30″ x 30″ canvases that work together to create a wide horizontal. This exciting piece conveys energy and spontaneity, as well as a refined sense of design. Check back often to see additional paintings posted here! A recent acrylic abstract was delivered to Karan Ruhlen Gallery just before Martha left for her annual painting trip to the Hill Country Arts Foundation in Ingram, Texas. The ten-day painting retreat was very productive. 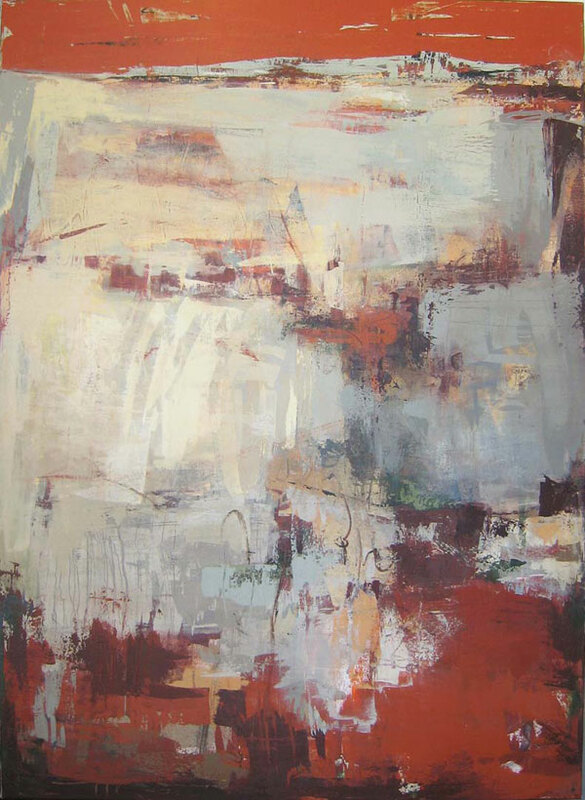 Martha worked on several 48″ x 36″ canvases producing exciting abstracts influenced by landscape and nature. Stay tuned—-the new work will be posted soon.